Many fans probably thought the Boston Celtics were going to be able to end their losing streak Tuesday night in Los Angeles. Yes, the Lakers have been playing well of late, especially at home, but they were still the Lakers. They’re improving, but they are still not a good team. Boston wouldn’t need to bring their ‘A’ game to win; their ‘B’ game would probably be enough. 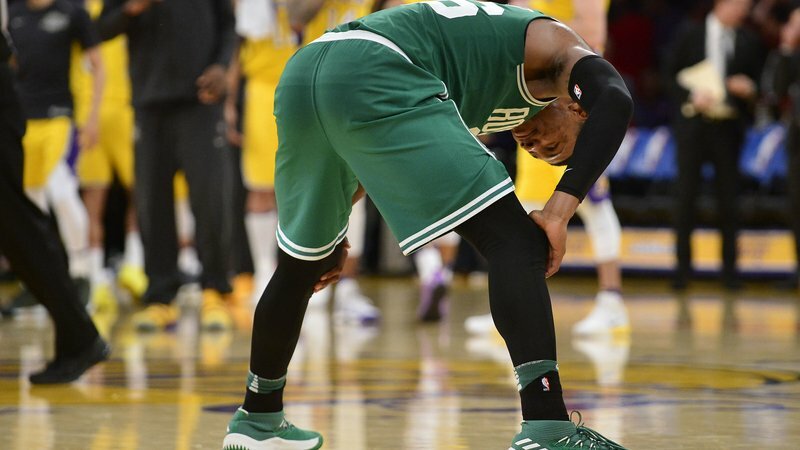 However, the Celtics have had trouble putting together a complete game lately—and it cost them once again. The first half was not a pretty one for either team. Both struggled to get their offenses on track in the first quarter as Boston got out to an early 21-15 lead. But both teams started hitting shots in the second. Los Angeles was able to tie the game up early on and keep it close. But Boston was able to push the lead out to 11-points before settling for an eight-point advantage at the break, 53-45. If Boston could at least maintain the status quo, they could escape Los Angeles with a win. But the Lakers had another ending in mind. They came out firing in the second half and quickly erased the deficit. By time the third quarter was over, they had taken the lead, 76-74. But then things got exciting. Boston regained the lead and pushed it out to six points early in the fourth quarter. 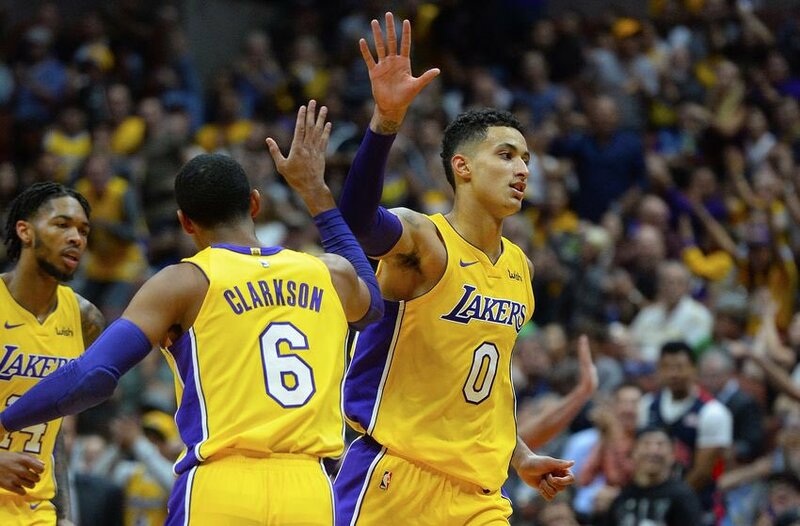 But then Kyle Kuzma went on a mini seven-point run midway through the quarter to give the lead back to the Lakers, 97-91. Things were looking good for the Lakers, but a familiar issue kept them from pulling away—they couldn’t hit a free throw if their lives depended on it. They missed ten of 17 free throws in the fourth quarter including four in the final 20 seconds that could have secured the win. Instead, the misses left a window open for the Celtics to steal the win. But Marcus Smart missed a three-pointer at the buzzer. “With that short amount of time I wanted to make sure we got a shot up. It felt good when it left my hands. I thought it was going in. That’s just how it goes. It’s over with. We’ve got to turn around and try to come up with a win tomorrow,” Smart said after the game (ESPN). Final score—Los Angeles 108 Boston 107. Kyle Kuzma led the way off the bench with 28 points including 17 in the final quarter (10-16 from the floor; 5-7 from three-point range). Julius Randle had a double-double with 14 points and 14 rebounds and Jordan Clarkson added 22 off the bench. Kyrie Irving led the way for Boston with 33 points followed by Marcus Smart who had 22 off the bench. The Lakers can take pride in beating the team with the best record in the Eastern Conference. It was their third win in a row and their sixth consecutive win at home. They have now won seven of their last nine. But their persisting issues with free throws and three-pointers (while Kuzma hit 5-7, the rest of the team went 2-19; Lakers are last in the league at both) should concern head coach Luke Walton—but they don’t. They’ll have a couple days off to find the remedy since they don’t play again until Friday night (against the Bulls in Chicago). Boston will try to get back on the right side of the scoreboard when they face the Clippers Wednesday night.